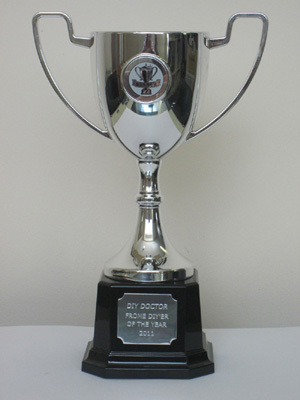 Thank you to everyone that entered the Frome DIY-er of the Year Competition. We had hundreds of entries which is very encouraging – proving that despite some comments to the contrary, DIY is alive and well! Our first DIY competition is now closed, with the three lucky finalists invited to the Grand Final live event on Saturday, 4th June. This takes place outside Sergeants Ironmongers on Catherine Hill in Frome kicking off at 12 noon. The three finalists will have to put their DIY skills to the test by completing painting and carpentry tasks, which will then be judged by DIY Doctor himself, Mike Edwards and Steve Cox, proprietor of Sergeants Ironmongers, who sponsored the competition. Along with a trophy and the title of Frome DIYer of the Year, our finalists will be competing for a first prize of £200 of diy tools, 2nd prize is £150 of diy tools and third place £50 of diy tools. We hope that as many as possible of our other entrants will come along on Saturday to meet the team and give encouragement to our final three. If you are free, do come along and join in the fun!